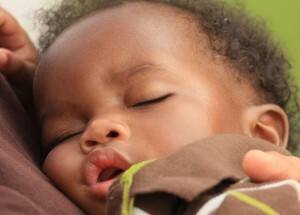 One out of every four families has a young child that struggles with sleep issues. Research shows that babies and children need an appropriate amount of quality sleep to achieve full cognitive, emotional, and physical development. As a Gentle Sleep Coach, I offer an alternative philosophy to parents who resist the idea of leaving their baby alone to cry it out. As we work together to teach your child to sleep, you will always be able to respond to them in a loving and supportive way. I will work with you to create an individualized, step-by-step sleep plan that factors in your parenting philosophy, your child’s age, health and temperament, as well as your well-being and other family dynamics. Most importantly, I will coach you through the process from beginning to end to ensure yours is a rested family! During the sleep training process, I encourage parents to be loving and responsive, but also to allow their child to learn the vital life skill of putting themselves to sleep. My gentle approach supports a nurturing and secure attachment between parent and child. The process requires commitment, consistency, and confidence that your child will learn this new skill. When parents are part of the planning process and have the on-going support from a coach, it is easier for them to commit to the plan, follow through with consistency, and achieve success. As you prepare for sleep coaching, it is best to choose a time when you can dedicate a solid three weeks to the process. This means no vacations, late nights out, skipped naps or unfamiliar environments during this period. Once the plan is implemented, most parents see improvement within the first three days and most children are sleeping through the night in 1-3 weeks. In my experience, the rate of success depends significantly on parents’ ability to be consistent and follow through with the plan. Can I guarantee “no crying” during the sleep coaching process? No, no one really can. When it comes to making a big change like sleep coaching, it is natural for children to protest. Changing a habit can be difficult. It’s important to remember that you are making a positive, healthy change that will benefit your child for a lifetime. My commitment to you is that we will minimize crying by creating a supportive plan that will allow them to gradually learn the skill of putting themselves to sleep. Whether your child breastfeeds, bottle-feeds, co-sleeps, or sleeps in their own space, my customized sleep plans are designed to respect your family dynamics, minimize tears, and maximize your ability to be consistent, which is the key to sleep coaching.